The building that spans all of Harewood’s known history, from Norman times to the present day, is All Saints Church. When the roof was replaced in the 18th century, this inscription was found cut into a beam: “We adore and praise thee thou holy Jesus, because thou hast redeemed us by thy Holy Cross, 1116”, so we have a precise date for its foundation. The founder was William de Curcy, son-in-law of Robert de Romelli, the Norman Baron to whom the manor of Harewood was given by William the Conqueror after the Battle of Hastings. This original church was completely re-built in the 15th century by the descendants of Sir William de Aldeburgh (the builder of Harewood Castle), and altered again in the late 18th century, both by John Carr, the architect of Harewood House, and by Edwin Lascelles’ surveyor, John Belwood. These changes were not universally admired: “About the year 1793, a series of most barbarous alterations were carried into effect, which, to say the least of them, reflect discredit upon those who were concerned in them”, thunders John Jones in his ‘History of Harewood’ of 1859. Stained glass windows were removed and sold, carved oak seats replaced by pews and the oak open roof replaced by deal rafters. Shortly after John Jones’ rant, the Victorian architect Sir Gilbert Scott altered some of the alterations, so what you see today is something of a hybrid. The outstanding feature of Harewood Church is its magnificent collection of alabaster tombs, often said to be the finest in England outside a cathedral. They are the most vivid evidence we have of Harewood’s ancient history, showing six lords and ladies from the families who owned the Harewood and Gawthorpe estates during the 15th and early 16th century: Redmaynes, Rythers and Gascoignes. The oldest is of Chief Justice Gascoigne, who died in 1419 and the last is of Edward Redmayne, who died in 1510, and his wife Elizabeth. The pale, glowing alabaster figures you see today are substantially different from how they would have first appeared. The originals would have been brightly coloured (you can still see traces of paint in the carved folds of their garments) and some would have been covered by canopies (removed in the 18th century). They were restored in the 1970’s with support from the Redundant Churches Fund and moved to their present positions. Looked at carefully they are full of character, portraits of real people, not just formal depictions of lords and ladies of rank and status. All Saints has not been used for regular worship since the late 1960s, but the Lascelles family vault is there. It is still used occasionally for concerts, baptisms or memorial services. Developed with the help of students from Harewood Primary School, the All Saints’ Explorer Cart is filled with interactive tools and engaging activities designed to make exploring the church fun for everyone! From magnifying glasses and mini binoculars, to colouring pages and quest sheets, the contents of the Explorer Cart will help you to investigate the ancient objects and discover the centuries old stories that make All Saints’ Church such a marvelous and memorable place to visit. The Explorer Cart has been provided by The Churches Conservation Trust. Use of the Explorer Cart is free of charge. Donations are welcomed. 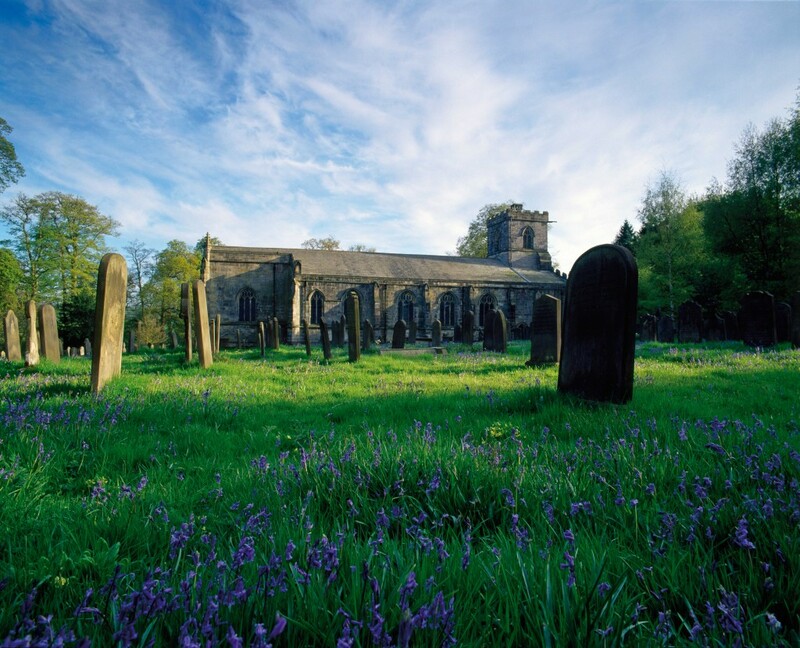 All Saints Church is open during Harewood’s normal opening hours and is subject to admission fees. For further information on timings, please click here and for ticket prices, please click here. Access to All Saints Church is via Harewood’s Visitor Reception off the A61. Please contact Victoria Sigsworth on victoria.s@harewood.org to enquire about booking use of All Saints Church for an event or wedding blessing.